Gut health has been a central part of traditional Asian medicine for centuries, yet it’s something that we’ve almost completely ignored in Western science. The trillions of microbes in our gut can be associated with chronic inflammation which often leads to autoimmune disease, insulin resistance, diabetes, depression, allergies, heart disease, and weight gain. 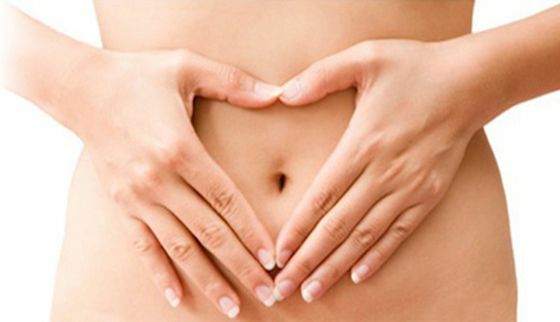 The importance of the quality of our intestinal flora is often something we never think about. Every day through the foods we eat, the alcohol we love, and the medications or antibiotics we rely on but perhaps don’t need, we have the ability to improve our gut bacteria or destroy it. Where does a healthy gut begin? Researchers have discovered that babies born vaginally and also breast fed have an advantage in the development of healthy gut microflora. During the birthing process, the babies become inoculated with the mother’s vaginal flora - which is extremely healthy for the baby. Breast milk is also rich in beneficial bacteria that get transmitted to the infant. It’s no mistake that our body is designed in this way to give the best possible chance of health and survival to our offspring. There has been so much to support this theory that in 2011 the Centers for Disease Control and Prevention (CDC) endorsed breast feeding as a prevention against obesity, suggesting that nursing could decrease the odds by 30 percent that the child would become obese. Since we don’t have control over the way our mothers delivered or fed us as babies, we need to get clear about the importance of what we can manage – especially food quality and the role it plays in our gut ecosystem. Even if a fast food or chain restaurant offers a diet menu – such as low-fat or low-carb offerings - this does not qualify those meals as being healthy. Turkey sausage or bacon, chicken breast, or egg whites to swap out their more fattening alternatives can still be hazardous to our health if they have been pumped up with antibiotics. If you are constantly consuming animal products that are not organic, the antibiotics administered can be passed through the meat and could potentially change your microbiome. Without diversity in the foods you eat, there becomes less diversity in your gut bacteria. How can we restore our gut bacteria to prevent future weight gain? As mentioned before with the fast food example, anything that our bodies perceive as toxic can destroy gut flora and damage our intestines. We know that high-fat foods and processed meats can be problematic, but how about grains? Most modern day foods like cookies, pastries, bagels, pretzels, cereal, and any other refined grains are especially responsible for destroying our gut bacteria. Wheat and gluten typically found in these foods both contain proteins that can damage the lining of the gut. Not to mention these foods are often baked with sugar, (high fructose corn syrup or artificial sweeteners) and unhealthy oils. Understand that sticking to natural ingredients rather than swapping out with artificial substitutes to save on calories will only slow us down in the long run. If our foundation (our gut) is not healthy, we are not being holistic about making a long lasting impact to our health and weight. To face this issue head-on, we want to eat a diverse selection of organic foods in addition to many fruits and vegetables to keep our bacteria diverse. We should also include in that variety foods that naturally contain prebitocs and probiotics to help our bacteria flourish. Prebiotics get the party started to make the probiotics work even better. Bananas, asparagus, onions and garlic are some basics that are easy to incorporate. For naturally occurring probiotics – plain yogurt, sauerkraut, pickled vegetables and if you are adventurous even kimchi is great. Lastly, nutritional supplements can be powerful players for added support. Prebiotic and probiotic supplements in addition to herbal compounds such as berberine, garlic, oregano and peppermint oil which can all work to repair gut health. Just make sure to check in with a healthcare professional before undergoing any new supplement regimen since you need to know the proper amounts to take before you overdo it. It’s not like the more ammo you use, the more effective you will be at killing the bad guys. In life it seems that everything comes down to the gut. That’s why the gut is also known as “the second brain.” You know when you have that “gut feeling” – good or bad - about something. Our brain and gut are in constant communication. Seventy to eighty percent of our immune system also lives there, determining the fate of our health. Once we understand how much of our emotional and physical health are ruled by the state of our gut, correcting this without question should be our first line of defense!